Just starting a new thread for arrangements for the Gluepot trip 9th-10th October. My thought would be to meet somewhere like Gawler early on the Saturday, then drive in convoy up to Gluepot. Waikerie would be a good meeting point as well. Set up camp on arrival, then spend the day shooting. Sunday some early morning shooting before breakfast, breakfast and break camp and then more shooting until it's time to drive home. As for facilities while there, they are spartan at best. Long drop loos, no electricity and no fires allowed. Gas cookers are OK. Campsites are nice, usually barely occupied and have a few picnic tables scattered about. No mobile coverage, but there is a phone at the ranger station for emergencies. I have 2 spare tents for those who need one, one large and one giant one. Also have some air beds that are very comfortable. Let me know if you want to use anything before we go, as I will probably leave unused things behind. I'm also bringing a gas stove, fridge and will have a limited facility for charging batteries for those that don't have 17 sets already. With the recent rain I'm hoping for lots of vegetation and birdlife this year. I'll be there and bringing a friend. We would like to meet at Waikerie if anyone can - the last time I tried to find it with Fozzie and BigV we got lost! Deb and I are staying at the Waikerie Caravan Park on the Friday night, so meeting at Waikerie on the Saturday morning would be good for us as well. Confirm return journey Saturday night. Well it looks like Waikerie is a good point to all meet up. What time suits everyone? How about 7:00am at Waikerie or is this too early for those who are travelling some distance. Yikes! A bit early for me. I am going to leave fri night late rather than get up at 3.00am to get ready, will sleep under the stars, so 7 will be fine for me..
Looks like 7am is the time. I think that the Renmark side of the ferry is a good meeting place. Easy enough to park, and maybe some birds as well. My number is 0409 289 213 for anyone who doesn't have it. Is that a ferry in Waikerie? Virgo, there is no way you will be up at 7am unless you haven't been to bed the night before! Lee, that is why I am leaving after visiting knobby and scoot...you know I love the night!! Marvin, yes the Waikerie ferry. LOL. Thanks Kevin. Although I live in Renmark, I only go to Waikerie to play sport. I know how to get to the basketball stadium and that's it! I didn't even know there was a ferry in Waikerie! Hope everyone had a good day! It's a long drive, but well worth it I think. 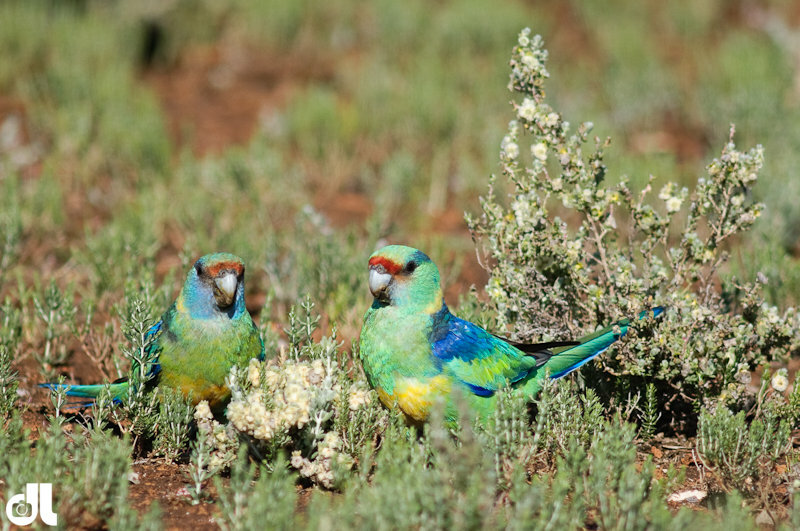 Here's a couple of Australian Ringneck parrots from this morning. This was the first time I've been able to get so close in the open. 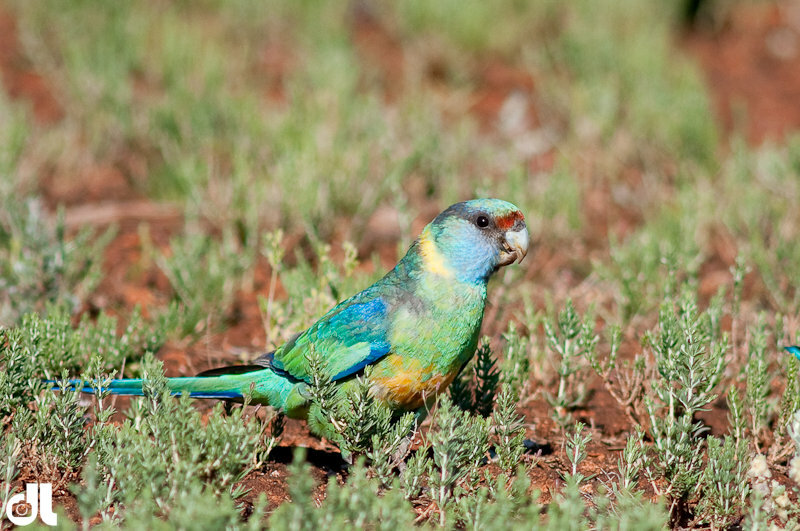 Really enjoying your images of the 'Australian Ringneck Parrots' the colours are a winner. I need to capture the parrot for myself, so I will be interested in a another visit sometime down the track. Last edited by fozzie on Mon Oct 11, 2010 8:22 am, edited 1 time in total. WOW - definately worth the stay over. Thanks for a great trip!